Six For Sunday is a weekly feature run by Steph of A Little But a Lot. You can read all the Six for Sunday prompts for the rest of 2018 here. Again, this week's topic doesn't work for me, so - as is allowed - I'm adapting an older topic: Favourite covers of 2018. Obviously there are many more than six, but I've gone with the ones that came to mind first. This cover is just gorgeous! Look at colours, the make up, the flowers, and the orbs! And an actual Black woman on the cover! The actual physical covers shimmers under the light, and you can't see it here, but the image is also slightly blurred (but not quite as much as the UK cover is blurred, which is just too blurred). What I love about the cover being a little blurred is that it fits with the story. It's almost like a filter; not everything here is real, beauty is manipulated - which also links to the plot of the story, where there's more going on than we originally think. Such a wonderful, beautiful cover! 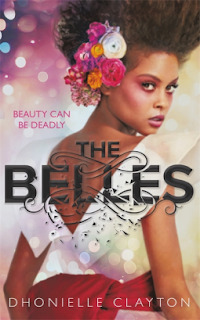 Oh my gosh, this cover is just so, so pretty! The reddish colour is also used on the spine, and it's just so gorgeous! As Leigh's mother has become a bird, the feather is a great fit, and the way the title is swirling around the cover in what looks like smoke, it gives a mysterious, atmospheric feel, that speaks to the magical realism in the story. I really adore this cover. Look at this cover! Oh my god, I love it! Look at those piercing eyes that look slightly evil, but also like they're looking right into you, and that little smirk. And with the tentacles and the flowing hair, along with the slightly malevolent look on her face, without the title, I think we could make a good guess at what this story is about, right? It's just so pretty! 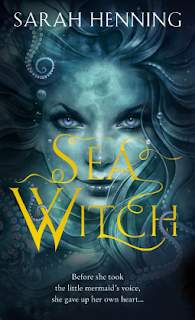 Yet Evie isn't actually evil, so perhaps her evil look is a little misleading, but we think of the sea witch as evil, right? So as it's an origin story, I think cover does a fantastic job of giving a full idea of what the story is about. Another retelling of The Little Mermaid! This cover is just awesome! I almost wish there was no text at all, her hair got to slow across the whole cover, and then I could hang it up on my wall, it's just gorgeous. I don't think you would necessarily get that it was a retelling of The Little Mermaid, though, without it saying so on the cover. Thee are some fish, some tentacles, and a few shells and starfish, but they don't necessarily say "The Little Mermaid", and with the mirror and the birds, I think it's kind of confusing. I don't care though, because it's so beautiful! Mate, how can anyone ignore this cover? It's bloody fantastic! Look at that fire, at Jetta standing there commanding such power! And with the Chinese dragon and the style of the buildings in the background, you can clearly see this is an Asian inspired story. And with the dragon being a flat image rather than solid and three dimensional like Jetta and the buildings, it really speaks to Jetta's shadow puppetry. This cover just says power and destruction, and Jetta is just going burn it all down! I love it! This book I've not yet read, but I am so excited to! 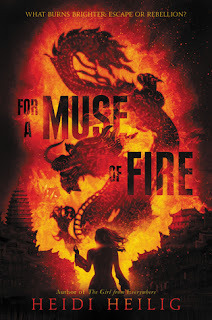 An Asian-inspired queer high fantasy that sounds incredibly feminist! I need this book! And look at this cover! The blues and the purples, the gold around the title, the way Lei's hair seems to become what I have seen used before as a visual representation of the wind, but maybe magic? And that one eye we can see clearly! This woman is defiant and is going to fight! Aaah, it's just beautiful! And I'm so looking forward to reading it, and seeing how the cover actually fits the story! Over to you! What do you think of these covers? What have been some of your favourite covers of 2018? Let me know in the comments! Isn't The Surface Breaks cover just so gorgeous?! 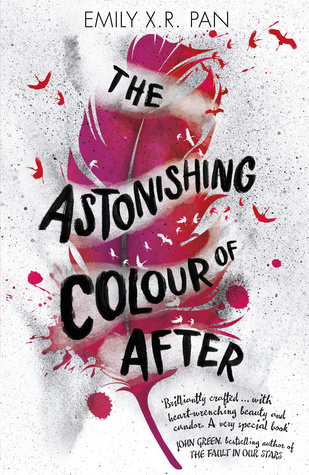 Ad The Astonishing Colour of After is just perfect, and really fits the story - which is incredible! I loved it! 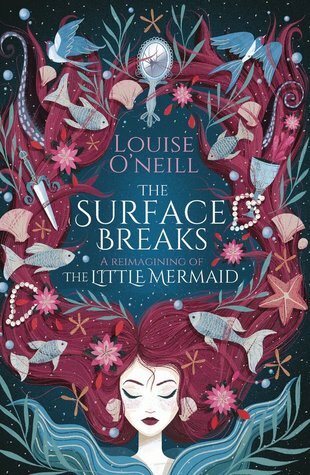 Ooh love these covers - The Surface Breaks is my fave. It is so gorgeous! Such beautiful illustrations! It's even more pretty in person. I love it! 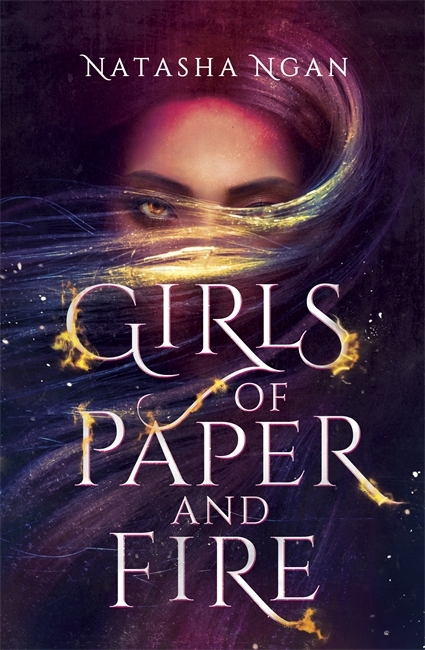 All of these are great, but I love The Surface Breaks and Girls of Paper and Fire. Surface is so pretty, and I like the style of it, while Girls is really striking. The illustrated cover of Surface is so gorgeous, isn't it? Just beautiful! And not only is Girls' cover really pretty, it's also really intriguing! I love them both!